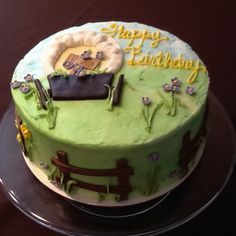 Here is a little house on the prairie cake just for you! Happy birthday, Shell! I hope it was a good one for you! You are very welcome, Shell. I hope you enjoyed it! I hope it was a great birthday, Shell! Thank you everyone. it was a great one. Sorry I miss your birthday. Glad it was a great one.